We say we want an authentic local experience when we travel. But do we? Suburbs and industrial parks are authentic if, by that word, you mean a place where people actually live and work. What we really seek are sights and a slice of life that doesn’t feel produced for the consumption of others. Or maybe all we desire are places not frequented by other tourists. We want to feel we’re having a unique experience, one that hasn’t shown up already on our friend’s Instagram feed. As travelers, we still hope to see places of beauty (there goes the industrial park) or historical significance (bye bye suburbs). We just want to take them in and appreciate them without being jostled by others with day packs, loud voices and a relentless need for selfies. 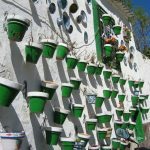 The Andalucia region of southern Spain offers more than its share of gorgeous scenery and architecture, not to mention great food, warm-hearted people and a lively culture. But alas, all those positives result in droves of tourists. The Alhambra, for example, that Moorish palace of wonder in Granada, gets more visitors than any other site in Spain. 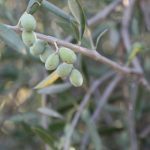 So what do you do if you want some of the best of Andalucia without the hordes? 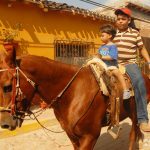 You could escape to the Pueblos Blancos (White Villages) that dot the hills throughout the region. These small towns take you back in time, especially at night after any daytrippers have returned to the clamor of Malaga, Seville or Granada. All that peace and serenity, however, comes at a price: there’s not much to do in most of these villages once you meander through the narrow streets lined by white-washed buildings that go back centuries. In some cases, that may be just what you’re looking for. But what if you want more action and attractions without the crowds? Try Antequera. 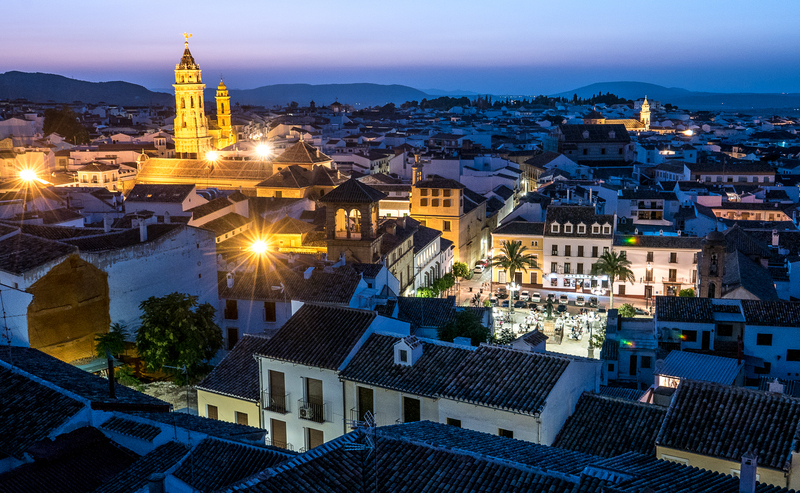 Lying on the main train line from Malaga to Madrid and just off the A-92 highway that connects Seville and Granada, Antequera is easy to reach. Or just pass through. But if you stop and make your way into the historic center of town, you discover something utterly charming: a Moorish castle standing guard over a quiet city of winding streets, Renaissance fountains, Gothic churches and beautiful buildings huddled together like old friends. My wife, two sons and I arrived in Antequera by car on a Saturday afternoon in the summer. One downside (or benefit, depending on your perspective) of a town not driven by tourism is that it adheres to local customs in terms of business hours. By noon, everything that day was closed down with the exception of a few bars, restaurants and thankfully, our hotel. 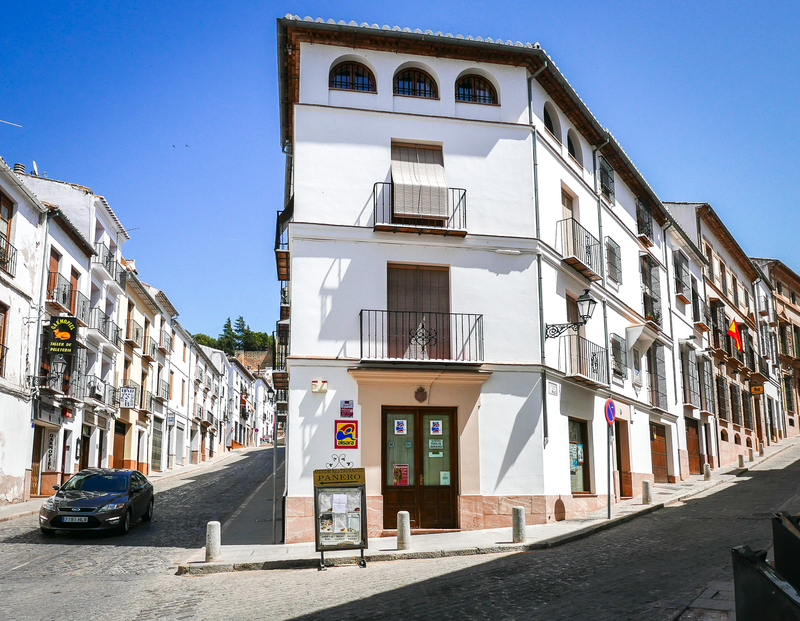 After checking into our rooms on the Plaza San Sebastian in the heart of the old town, we were soon wandering in the summer heat through virtually empty streets. Within a few short blocks we ascended the nearby castle hill and passed through the Arcos de los Gigantes (Arch of the Giants) and entered the 14th century Alcazaba or fortress. Your admission price includes an audio guide. This provides helpful orientation and background on the history of the city and fortress. From the castle walls and towers, you get an exceptional view of the whole city and the Pena de los Enamorados (The Lovers’ Rock), a limestone mountain said to resemble the face of a Native American man lying down. As you walk down from the fortress, you’ll come to the lovely Renaissance church, Collegiata de Santa Maria la Mayor. Admission is included in the Alcazaba ticket price, so it’s definitely worth popping in to see. They loop an interesting History-channel-like video inside about the builder of the church. What surprised me most was a float representing the Seven Deadly Sins stored there from a recent religious procession. It’s the fun oddities like this that add personality and interest to a place. Outside the church, you can peer down at some excavated Roman ruins and mosaics. From there, you could retrace your steps or meander down cobblestone streets to the Carmen church. Along with the nearby Convento de Belen, the Carmen church has some of the most impressive interiors of the many churches of Antequera. And speaking of convents, if you get hungry in your venturing through Antequera, make a stop at the Convento de las Descalzas, home of the Barefoot Carmelites. Inside, behind a large wooden door, you’ll find a display of baked goods and a small revolving door. Pull a rope which notifies the nuns inside, give your order to the nun behind the door, place your money on the tray and moments later, the tray circles back to you with your goodies on it. Hidden nuns. Secret pastries. Centuries-old doors and buildings. Sure beats McDonald’s. 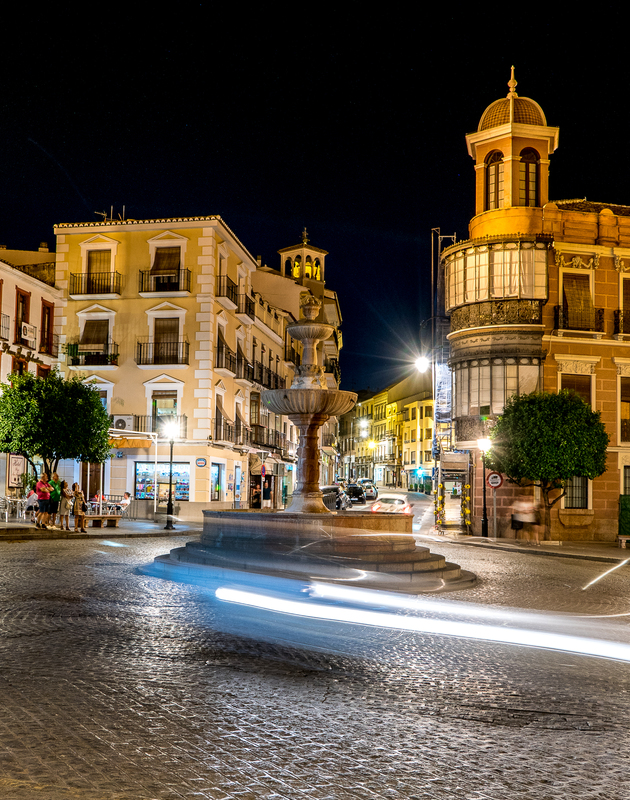 You can spend hours just wandering the streets of Antequera past myriad fountains and architectural gems. Or you can do what we did. We settled in at a lovely cafe table outside our hotel and ordered tapas and drinks from the bar next door. You’ll pay several Euros for a beer (una cana or small draft beer) in Seville plus more for tapas. 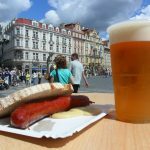 Here, two Euros bought a bottle of beer along with some tasty snacks. The bartender slid them across the bar to me just as he did to all the other thirsty locals there. Sometimes the most special moments on a trip are the ones where you’re not treated special. San Sebastian Square in the evening. Our table is to the left by the tree. Because restaurants don’t open until at least 8:30 p.m., you will have plenty of time in the evening to sit and relax. But you won’t be bored. Our outdoor table on a main square provided an excellent vantage point as evening in Antequera unfolded before us. Across the square at the Church of San Sebastian, elderly men and women shuffled into the church for Mass. A few minutes later, the street began to fill with a procession of cars blaring horns. People decked out in local finery waved from the vehicles as they headed to a wedding at another church nearby. 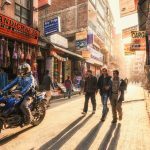 Even on fast trips where you’re going from place to place, you can carve out moments of slow travel. We spent several hours doing nothing but sipping drinks, nibbling on tapas and observing a more authentic view of Andalucia. Eventually, the wedding party we’d seen earlier came back and mingled with us. Apparently many of them were staying at our hotel. Over time, the square filled up with others out for the evening. And by the time we returned later from dinner in a nearby courtyard restaurant, other festivities around us were in full bloom. It felt like a whole trip all in one evening. Antequera offers numerous things to do but seems intimate enough so you feel part of the local scene. With few other tourists, Antequera gives you a sense of Andalucian life you rarely get in the more popular cities. Glad to have come across this post. Looking to explore southern Spain and would like to avoid spending most of our time in the bigger cities like Malaga, Sevilla, etc. 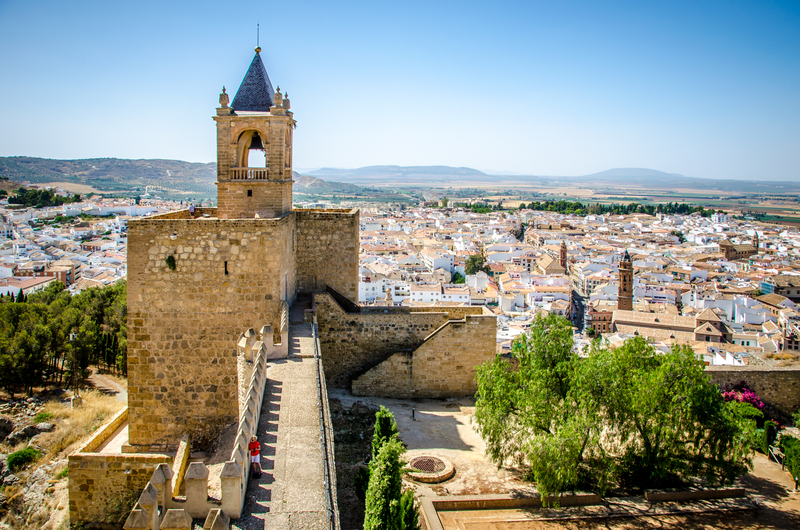 Believe it or not, Antequera came across as a place to look into. Will make sure to check it out. Thanks. I first visited Antequera 3yrs ago and totally fell in love with the town. I’m now lucky enough to own a small home in the old quarter. I feel it will take me a lifetime to visit all the majestic churches, sample the wonderful food and become familiar with all the tiny streets. The people are really friendly and very patient when determining what I’m saying as I stumble with my poor Spanish.